The holidays are coming up and they will be here before we know it! Are you ready? I’m beginning to compile gift lists for my family and friends so I’ll be ready when those awesome holiday sales hit. If your family is anything like mine, there will be some Star Wars gifts on your list. I love that Star Wars fandom spans across generations. I love that my niece loves to receive Star Wars gifts just as much and my boys – and her dad – do. And I’ll admit, I love a good Star Wars gift too, even if it’s just because I know my little Jedi-in-training picked it out just for me. 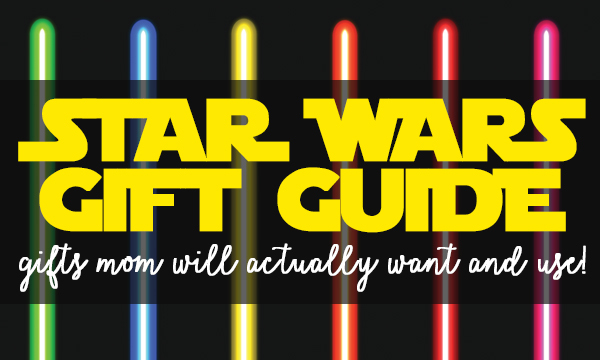 But, are there really awesome Star Wars gifts that Mom would actually want and use? Absolutely! 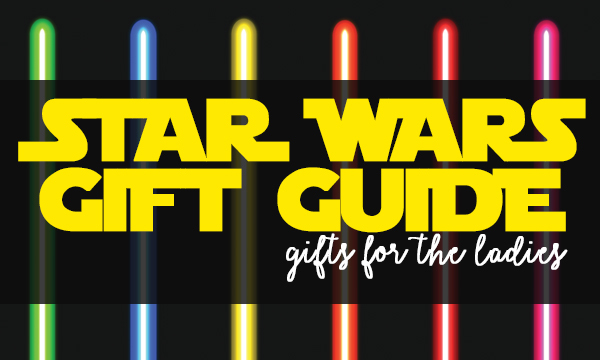 I’ve put together a whole collection of Star Wars gifts that will get mom through her day so you can be sure she will use it and love it! Here’s 19 Star Wars gifts that mom will love and actually use this holiday season. I’m pretty certain I need “the force is strong with this mom” t-shirt and those Chewbacca slippers just make me happy. How could you not love to open those gifts this holiday season?! Whether it’s starting the day off with a cup of Keep Calm from Yoda, fighting off gloomy raindrops with a lightsaber umbrella while running errands or ending the night with a wookie keeping toes warm, Star Wars will be there to get mom through the day!